How to play the 50 minutes games (and winning the first four vs Blik and Ukhta, when Rudziev and Pavel Sokolov were still in the team) of the Russian Superleague with six players? Good question for the PMFK Sibiryak "survivors" like Joan and his five mates allowed to be included in the roster. What's happening then in Novosibirsk? First of all we have to underline that the "six players affair" is basically an RFS/AMFR sanction which is usually applied to clubs which didn't complete the payment to play in Superleague: same happened to Novaja Generacija in Round 1 vs KPFR as they could feature just seven players before coming back to a "normal life" in round 2 vs MFK Blik. The current situation of Sibiryak is given by supposed financial troubles caused by the sudden "departure" of the club sponsors according to our sources. As expected consequence the "big names" in the roster were fast enough to find a new home (for example Ruslan Kudziev signed for Norilsky Nickel and Simi Saiotti was just announced as new player of KPFR, no news yet on Gustavo Paradeda). In few days the russian runners-up will move to Dobovec, Slovenia, to take part in the UEFA Futsal Champions League Main Round group 3 vs hosts Futsal Klub Dobovec, Russian champions Gazprom Ugra and hungarian runners-up Berettyóújfalu (replacing the disappeared Raba Eto, looks like Group 3 is not the "lucky one" in the continental challenge). So, who will be in the red and white roster? 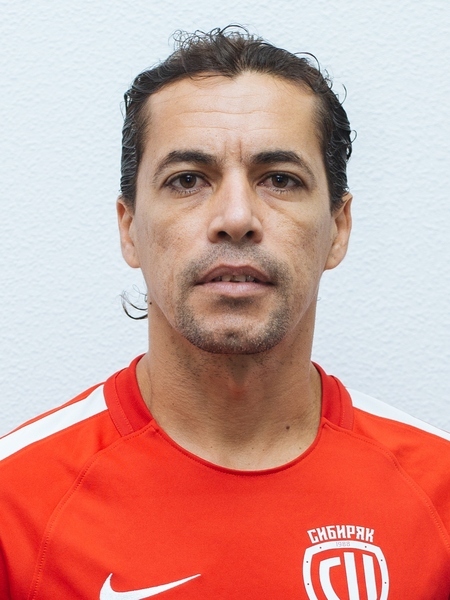 Local idol Joan for sure: the 42 years old brazilian player came back in Novosibirisk during the past season, following club president offer when he was in Brazil after turning from futsal to eleven-a-side soccer for a short experience with Alecrim Futebol Clube. More good players like team goalie Nikolay Balashov and mates Nikolay Plakhov should join the european trip as well as Sergey Pokotylo and Pavel Chistopolov who didn't play in the league till now. Enough to qualify? We'll know soon, for sure group 3 rivals can feel relieved to face a team which is not the one supposed to be at the end of the past season.